Giveaway: Sun-maid BoxTrolls Movie Tickets (Instant Win) (Ends 11/15) – Enter Daily! Enter the Sun-maid Box Movie Tickets Giveaway for a chance to win one of 5,000 pairs of BoxTrolls movie tickets! Giveaway ends 11/15/14. Enter daily! Enter the Avon Luck Sweepstakes for a chance to win a Avon Luck for Her fragrance! 1000 lucky winners will be named! You will need to log in to Facebook to enter for a chance to win. Sweepstakes ends 9/24/14. 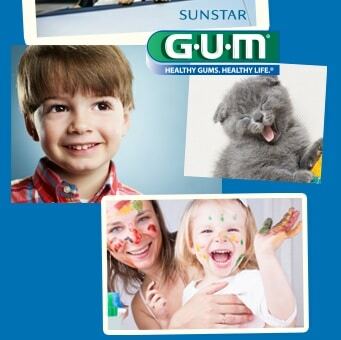 Sweepstakes: Sunstar GUM Oral Care Prize Packs + $100 Amazon Gift Card (Ends 9/19) – Enter Daily! Enter the Sunstar GUM Oral Care Sweepstakes for a chance to win oral care product prize packs and a $100 Amazon Gift Card! You’ll need to log in to Facebook to enter to win. Sweepstakes ends 9/19/14. Enter daily! Enter the Kroger Kick Off to Savings Sweepstakes for a chance to win NFL Tickets, exclusive digital savings, and Snickers and M&Ms Chocolate & Snickers Brand Ice Cream Bars! Ends 9/13/14. *You’ll need to register and add a store card to play. *Ends Today! * Giveaway: Scotties Kitten Soft 1 of 500 Softness Packages (Ends 9/12) – Enter Daily! Enter for a chance to win 1 of 500 Scotties Softness Packages! This giveaway ends 9/12/14. Enter daily! NO PURCHASE NECESSARY TO ENTER OR WIN. A PURCHASE WILL NOT INCREASE YOUR CHANCES OF WINNING. Sweepstakes starts 8/25/14 at 9:00:00 a.m. EDT, ends 9/12/14 at 11:59:59 p.m. EDT. Open to legal residents of and currently residing within the 50 U.S. and D.C., 18 years of age or older at time of entry. Five Hundred (500) Prizes: Each winner will receive one (1) SCOTTIES Facial Tissue Variety Pack consisting of one (1) 60-ct box, one (1) 65-ct box, one (1) 70-ct box, one (1) 120-ct box, one (1) 200-ct box, and one (1) 250-ct box. ARV: $12.00 each. Odds of winning depend on the number of eligible entries received. Void where prohibited. *Ends Today! * Sweepstakes: Dove Advanced Care Deodorant Gift Package (Instant Win) (Ends 9/12) – Enter Daily! Enter for a chance to win a Dove Advanced Care Deodorant Gift Package! Just take a short quiz and then the “Play now” button for your chance to win! Enter daily! Celebrate fabulous fashion and our best care for your underarms with the Dove Closet Shuffle Instant Win Game. Click to see if you have won a beautiful gift pack with Dove Advanced Care Deodorant and a summer scarf. *No purchase necessary. Void where prohibited. Dove Insider August 2014 Instant Win Game is sponsored by Conopco, Inc., d/b/a Unilever. Open to legal residents of the 50 U.S. & D.C., 18 & older who are Dove Insider members. Begins 10:00 a.m. ET on 8/12/14 & ends 9:59 a.m. ET on 9/12/14. Sweepstakes: Ore-Ida Tater Tots 60th Anniversary – $4,500 Check (Ends 11/10) – Enter Daily! Enter the Ore-Ida Tater Tots 60th Anniversary Sweepstakes for a chance to win a $4,500 check which the winner can use to throw a party. You’ll need to watch a short video and answer a few questions before you can enter for a chance to win. You will also need to log in to your Facebook account to enter. Sweepstakes ends 11/10/14. Enter daily! Enter the Purex Sweepstakes for a chance to win laptop & year’s supply of Purex® UltraPacks™ Detergent. Ends 9/30/14. 3 grand prize winners will receive a laptop & a year’s supply of Purex® UltraPacks™ Detergent. Giveaway: Dasani Drops – Over 1,000 Prizes! (Instant Win) (Ends 9/30) – Enter Daily! Enter the DASANI® DROPS giveaway where can enter for a chance to win a variety of prizes! Ends September 30, 2014. Read the official rules to see the time frame for the giveaway prizes, as they do vary. Enter daily! Giveaway: Similac Shower Gifts – $20,000 in Designer Baby Gifts (Ends 9/29) (Instant Win) – Enter Daily! Are you an expectant mom? Enter the Similac Chic Shower Gift Giveaway for a chance to win prizes for mom and baby! Enter daily! GRAND PRIZE: A CHIC SHOWER OF GIFTS! One lucky Grand Prize winner will receive one of each of our fabulous instant win prizes—that’s over $2,600 in designer baby gifts—plus an additional $5,000 gift card for Giggle.com! The Promotion begins on July 16, 2014 at 12:00 p.m. Eastern Time (“ET”) and ends on September 29, 2014 at 11:59 a.m. ET (the “Promotion Period”).